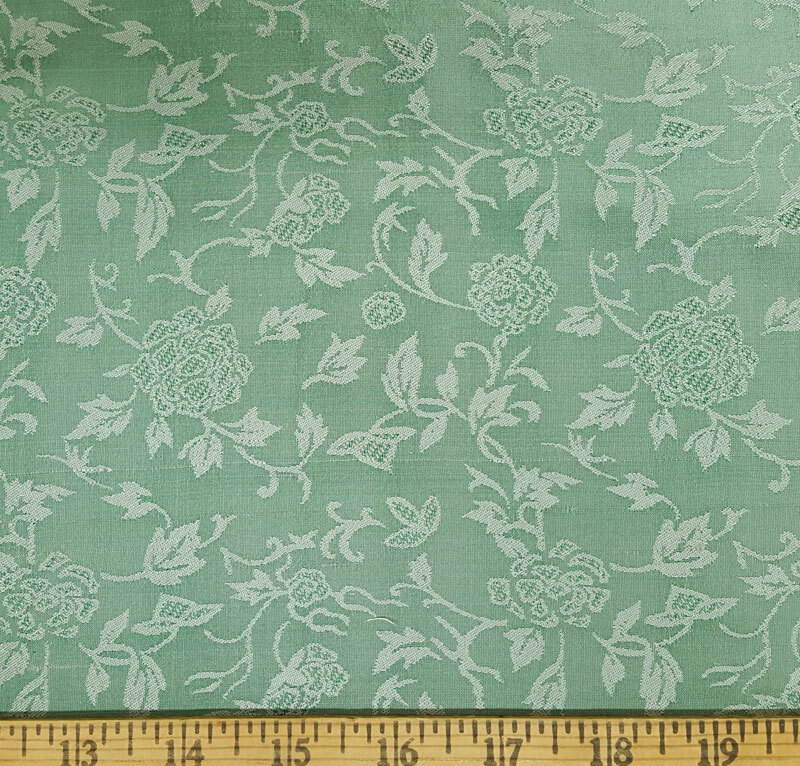 This lovely 100% silk Valentina damask in Silver Jade is perfect for a Victorian impression and beyond. 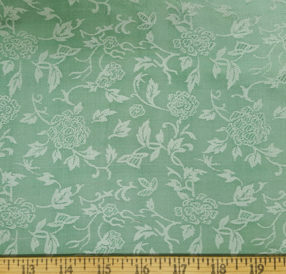 It is a medium weight with a floral design in kelly green threads crossed with silver. The color is hard to capture, but in person, it is amazing. Even the back side looks great! Note: This has a machine-woven shantung base.